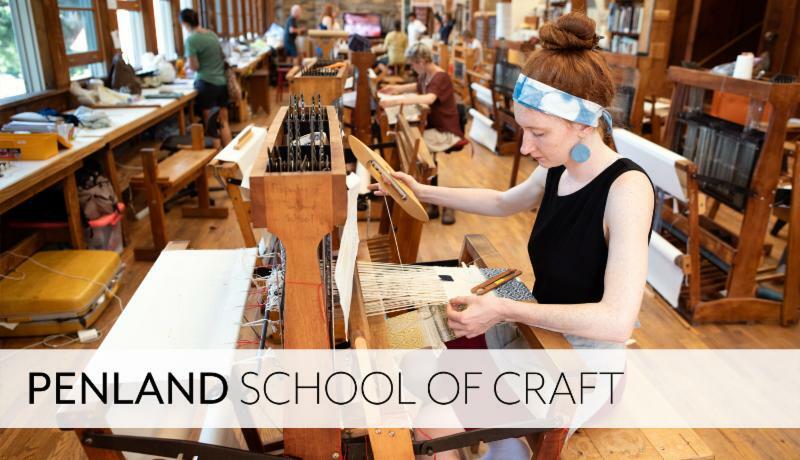 Registration is now open for Penland’s summer 2019 workshops! The school is thrilled to be offering 103 workshops across their studios taught by some of the most inspiring artists available. Whether you’re interested in woodworking with hand tools, slipcasting ceramics, risograph printing, metal engraving, or something else entirely, Penland has something to offer. Full Scholarship with Work Requirement: students work for the school before, during, and after their session. They receive meals, dorm housing, and tuition. There are more than 70 of these scholarships. Full Scholarship with No Work Requirement: students receive meals, dorm housing, and tuition with no work requirement. There are more than 100 of these scholarships. Studio Assistantship: students work in the studio before, during, and after their session, preparing for the workshop and assisting the instructor. They receive meals, shared housing, and tuition. The deadline for all scholarship applications is February 18th.